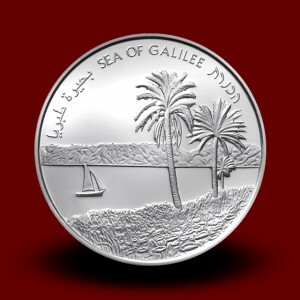 28,8 g, 2 NIS Silver coin - Sea of Galilee (2012)** - Moro & Kunst d.o.o. Situated at 212m below sea level in the Jordan Rift Valley, the Sea of Galilee is the lowest freshwater lake in the world. It receives its waters primarily from the Jordan River, which flows through it from its northern to southern shores and further southward as far as the Dead Sea, the lowest place on earth. The Sea of Galilee is significant in both Judaism and Christianity. Tax The tax for gold and silver coins is accounted from the difference in price on 102. and 104. article in ZDDV-1 and is on 110. article in ZDDV-1 not shown on the invoice. Preservation PP: Proof coin struck using a special, high-quality minting process, and made especially for collectors. 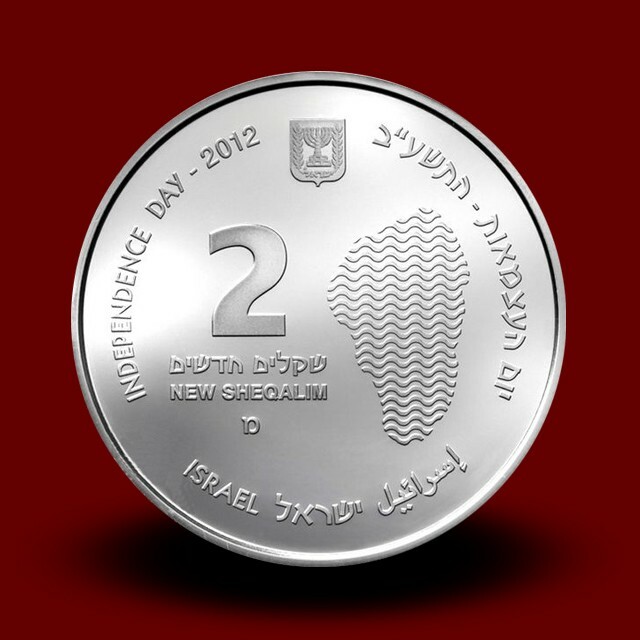 Modern proof coins often have mirror-like fields and frosted devices.